Iowa painter, Les Freswick (b. 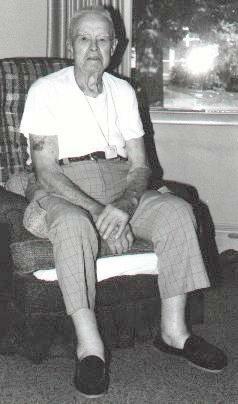 1896-1996), spent most of his occupational life working in the automotive trade. For 22 years he ran a DeSoto dealership as well as an automotive body and paint shop. During his career Les said he painted hundreds of cars. 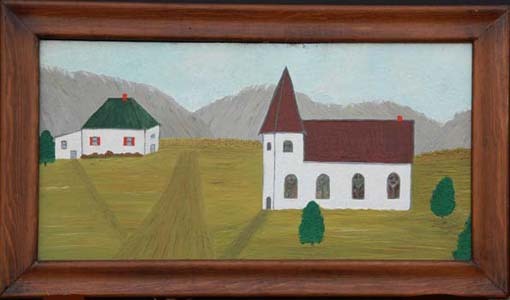 After his retirement thirty years ago in his eighties, Les continued painting but instead began doing scenes of Iowa farm life. His simple, stark landscapes are accentuated by his limited palette of five or six primary colors. All of his paintings were done in house paints on masonite boards in frames he made himself. 1. Church, 15 1/2" x 27"
2. 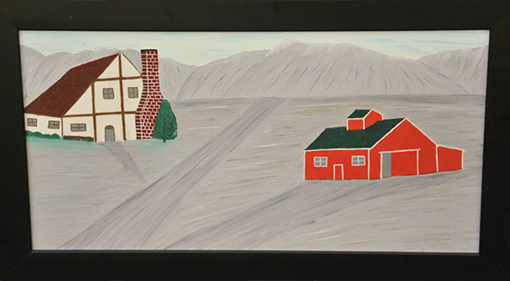 Rural Landscape, 15 1/2 " x 27"
3. 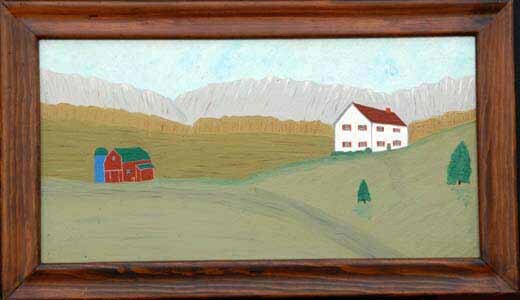 Rural Landscape, 15 1/2" x 27"